Experience "art-house psychological horror at its finest" (MovieCrypt.com) in a "stylish and intriguing" (Shadows on the Wall) take on "Alice in Wonderland". 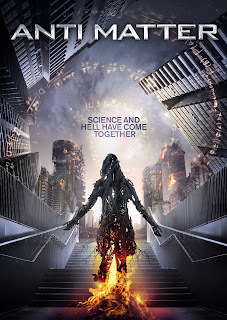 Featuring a cast "anchored by a strong performance from Yaiza Figueroa" (Eye for Film), "Anti Matter" is a "taut thriller that should appeal to both hard sci-fi fans and those who don’t know their wormholes from their warp drives" (One Room With a View). "Anti Matter" in select theaters and VOD September 8.